Whiten & Brighten Your Teeth for a More Youthful Smile! 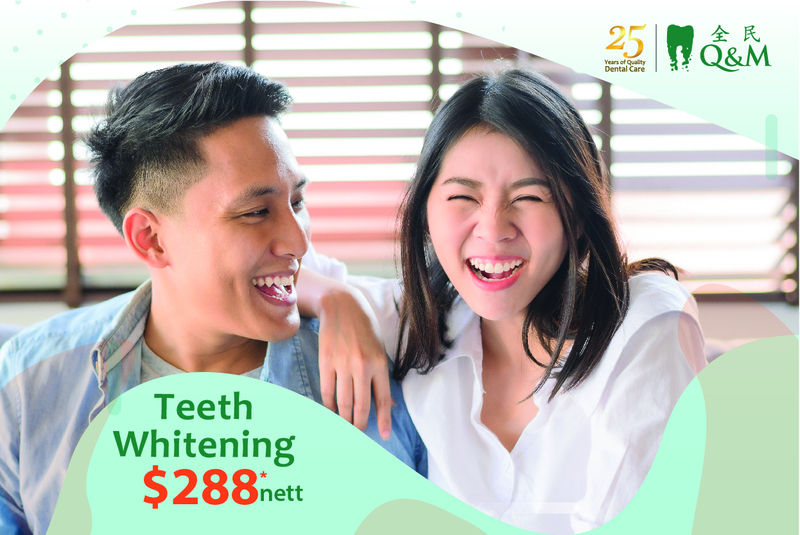 $280.30 inclusive of consultation, take home teeth whitening kit, sterilisation & disposable fees and prevailing GST. Available at selected clinics only. Terms & conditions apply. To book appointment online: https://goo.gl/rrVCJ6 If book appointment via online, please indicate the quote "Teeth Whitening @ $280.30" under Note.